Crown and bridge restorations dually represent cosmetic and restorative functions of dentistry. By rebuilding the appearance of your smile and restoring oral function, both crown and bridge treatment form the basis of a return to better oral health and an enhanced, positive self-image. Crowns return form and function to individual teeth, and do not rely on adjacent teeth for support or attachment. Bridges replace missing teeth and are constructed of two or more crowns joined together to function as a single appliance. They rely on neighboring teeth for support and attachment. Dental crowns provide full protection and coverage for a tooth, reinforcing tooth structure following damage. With an expert hand and detailed dental craftsmanship, Dr. Kayvon Javid and Dr. Mariam Nadi restore function and appearance to your teeth with beautiful, lifelike crowns. Modern innovation affords the ultimate in crown technology with the advent of CEREC® same-day crowns, further rounding out the benefits of this common restorative procedure. To place a crown, our doctors remove damaged tooth structure, rebuild the tooth and custom-create a natural-looking, highly esthetic crown that is permanently cemented for a lasting, healthy smile. Correcting esthetic appearance and tooth loss, dental bridges return the ability to bite or chew properly and comfortably once again. 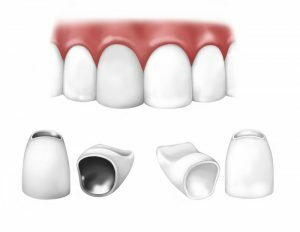 Replacing a missing tooth with a bridge also helps maintain positioning of surrounding teeth, which have a tendency to drift or tip into spaces created by tooth loss. Made by joining two or more crown units, a bridge is an appliance designed to span the space of a missing tooth, blending naturally with your smile. Each anchoring end of the bridge attaches to adjacent teeth for support, while the middle portion replaces the missing tooth. By performing cosmetic dental bridge procedures, Dr. Javid and Dr. Nadi have helped numerous patients regain function and confidence in their smiles after tooth loss.